Announcing My Next Pocket Patchwork Sew~Along! 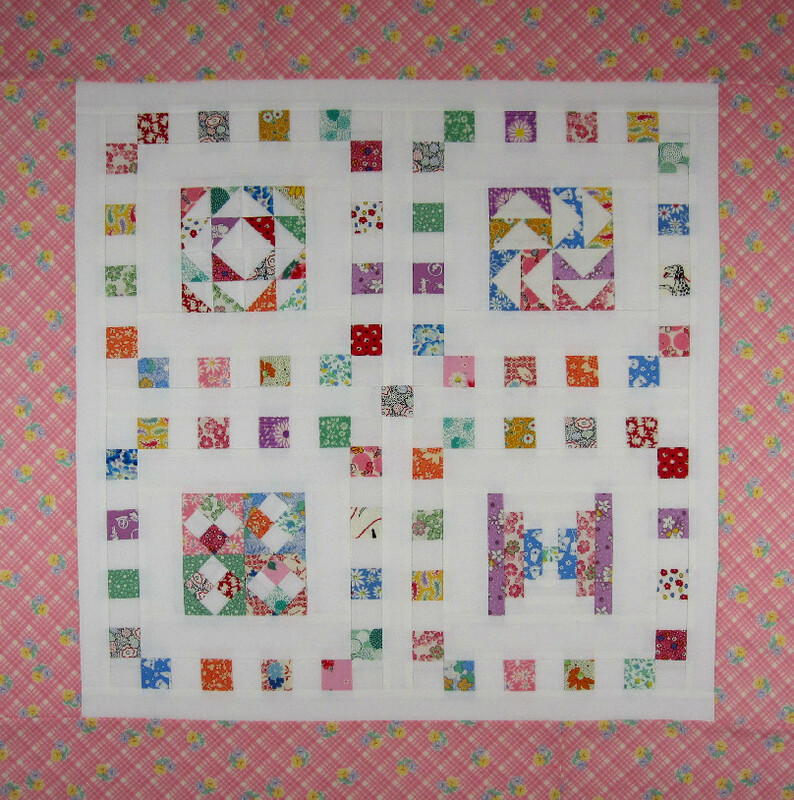 I'm so excited to give you the preliminary information about my next Pocket Patchwork Sew-Along! The quilt project is named Nabby's Dowry and it features all of the fabrics from my new fabric line, Pin Money, as well as most of the Prairie Wovens, Dobbies, and Chambray line, too! You may know that Pin Money was named for First Lady, Abigail Adams, and her daughter's name was Abigail as well, but the entire family called her Nabby. 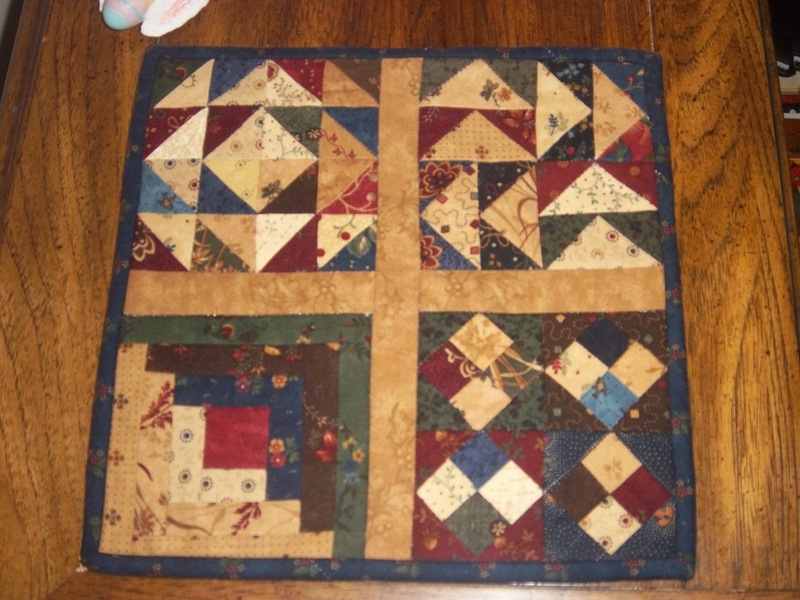 Perhaps Abigail pieced a scrappy quilt for her daughter? I liked the thought and that's how I came up with the name. I know...weird how my mind works! This will be the largest quilt we've made in my sew~alongs thus far, measuring approximately 36 inches square. The block size is 6 inches finished, and is very, very scrappy! There are lots and lots of Half Square Triangles! 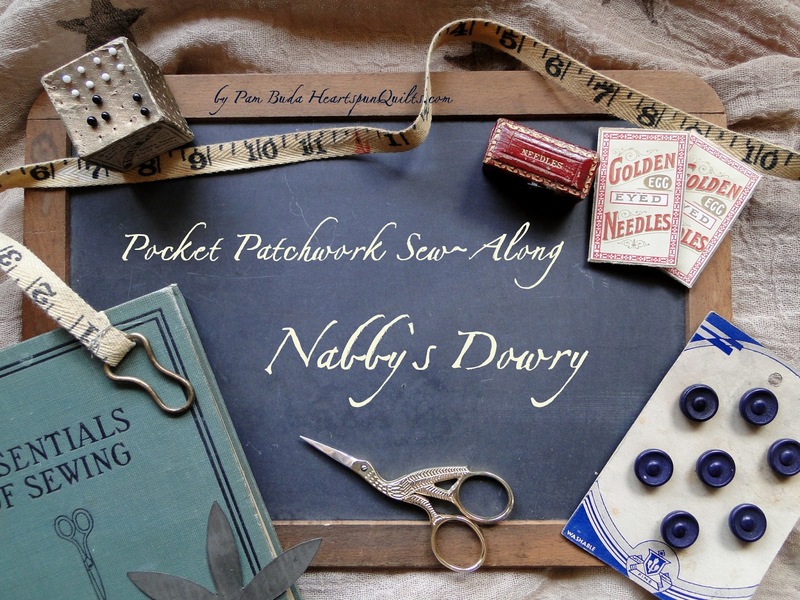 There is a kit available for Nabby's Dowry! What a great way to collect fabrics from both of these collections! Click here to see all the fabrics and pre-order a kit! 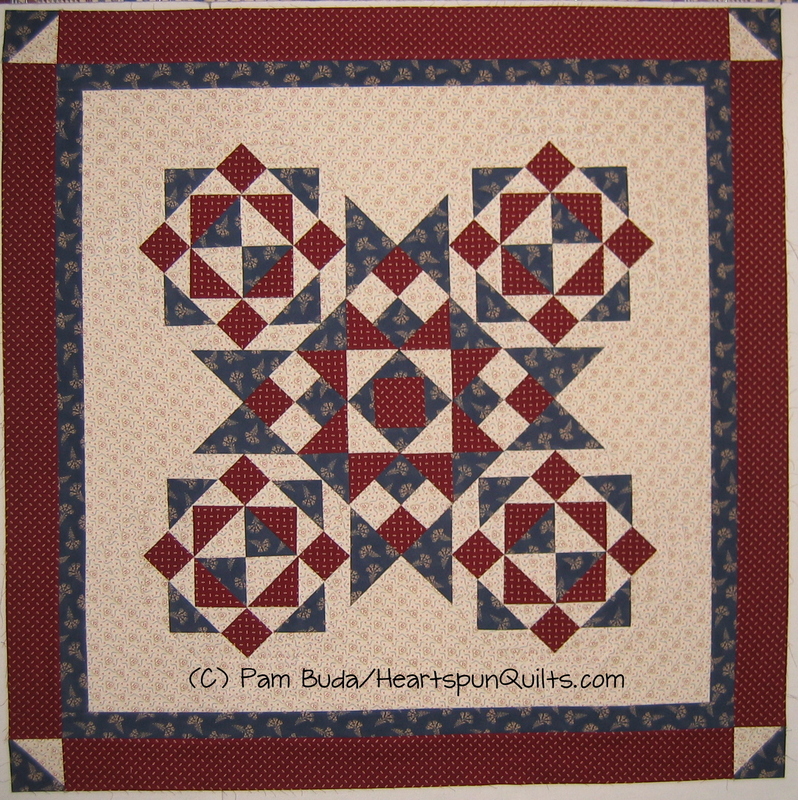 Click on the link above to see all of the fabrics in the kit for the quilt top and binding. The kit price is $45.25. Postage within the U.S. is included as well. International customers are welcome to participate. Please read instructions with order information on my website. PLEASE NOTE: I am taking pre-orders at this time to best accommodate everyone who desires a kit. Kits will be shipped in early June, and you will have them before the sew~along begins! The best way receive the weekly instructions for the sew~along is via email. To get my blog posts via email, simply enter your email address in the "Follow by Email" icon found on the right-hand sidebar of my blog. That way, you can easily print the sewing instructions! 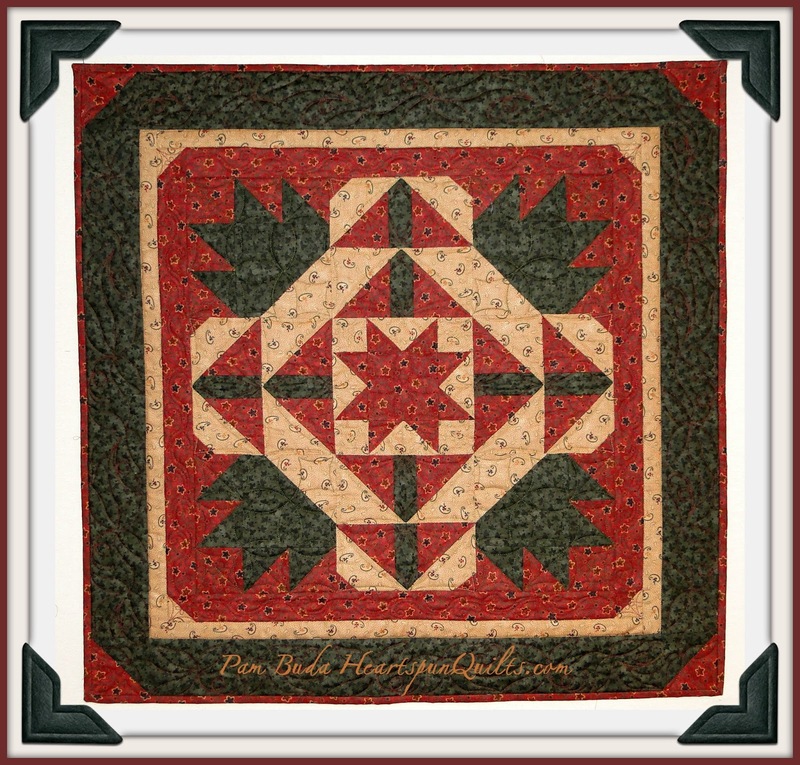 Remember...the quilt pattern is free! I look forward to sewing together with each of you once again! June will be here before we know it! chance to win good stuff!! Little Blue Schoolhouse Kit Available! At long last....The Little Blue Schoolhouse kit is available on my website! It took awhile, but I finally got all of the fabric back in stock to cut more of these kits. 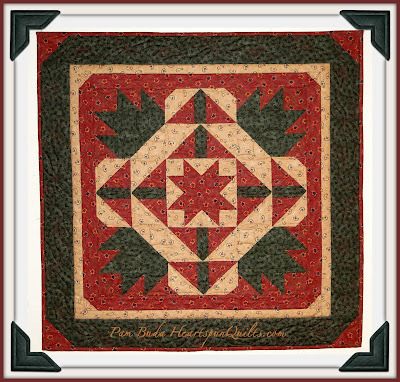 This is an alternate version of my Little Red Schoolhouse pattern made mostly of fabrics from my Heart of the Prairie collection (Marcus Fabrics). The background and all of the yummy blues are mine, and I chose four reds from other designers. This project was made exclusively for a workshop, and now that it's past, I can offer it to you! I designed the block so there's no set-in seams, and uses modern rotary and piecing techniques. It's the perfect red, white and blue project to decorate your home for Memorial Day and the Fourth of July! The Little Red Schoolhouse pattern is sold separately. Unfortunately, I have a limited amount of kits, and when they're gone...they're gone! Click here for order info. I recently updated my Facebook page! I will be posting behind the scenes photos and tidbits there that you won't see anywhere else! Click here to Like me on my Facebook page! 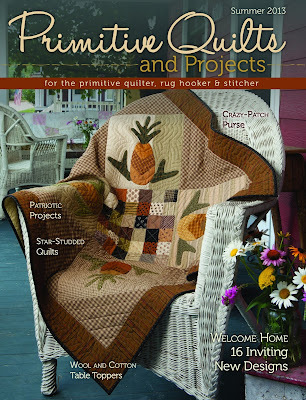 The Summer Issue of Primitive Quilts is Here! At long last, the Summer issue of one of my favorite magazines, Primitive Quilts and Projects has arrived! 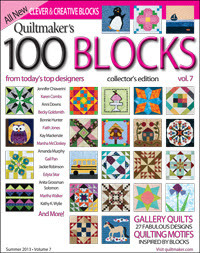 I'm delighted to say that both Lynne Hagmeier (Kansas Troubles Quilters) and I have quilts in this issue. Last summer, Lynne and I had the pleasure of spending time and teaching a really (really!) fun group of quilters while we cruised to Alaska. We designed this quilt, which was one of the three projects we made while cruising. We are, of course, fans of each other's work with very similar tastes, but we also bring creative differences as well. So, we decided to put our own twist on the same basic quilt, and that resulted in two different versions of our quilt named Friendship Garden. You'll notice the same basic elements in both quilts. 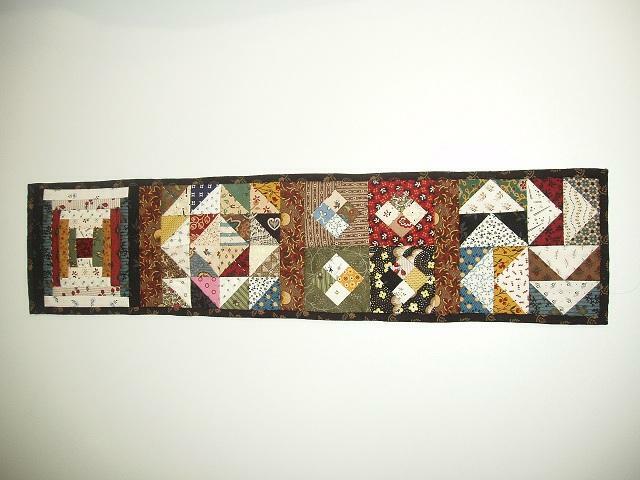 I made my quilt entirely from scraps I had of Lynne's Kansas Troubles fabrics (Moda). I have a lot of KTQ scraps!! 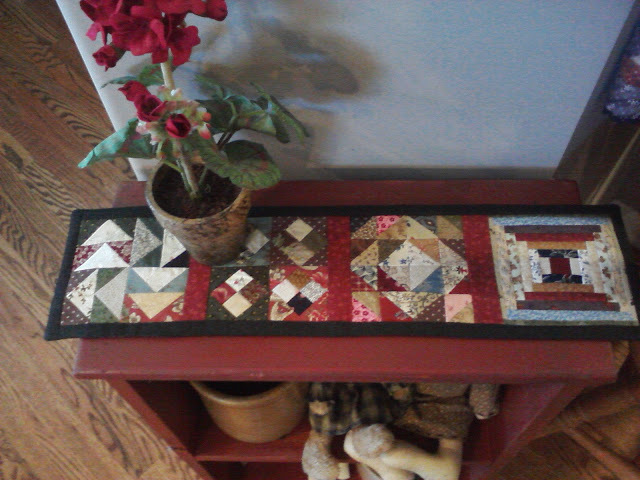 Most of my appliques are wool, with the exception of the red flowers where I English Paper Pieced the hexagon blooms. I also have a few additional stars, and added our initials.... a nod to my other passion, samplers. Lynne's version features her appliques made with her awesome "layered patchwork" technique. Guess what? We have kits for both quilts!! 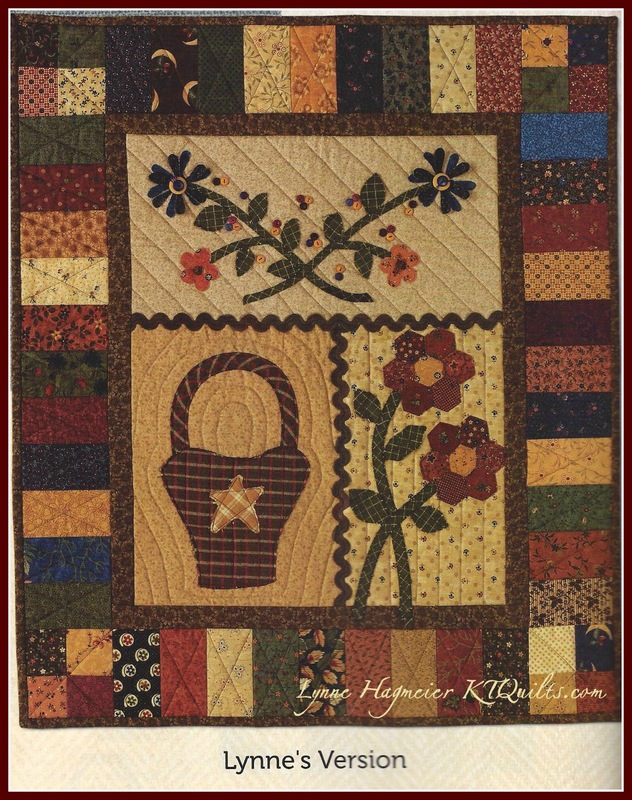 Quilt kits feature Kansas Troubles fabrics and everything you need is included....buttons, rick rack...the works. The kit for Lynne's version is $40.95 plus $5.15 for postage. If you'd like to make my version, the kit is $76.95 (includes wool) plus $10.95 postage. (Postage prices are for US addresses only.) You can also purchase the magazine as well. There's a limited supply of kits, so don't delay...order today! You may remember a few weeks ago when I asked for your opinion about the fabrics in the photo above. You shared your ideas and thoughts...all of which were great by the way....and did give me lots to think about. But...in the end, while I love all of the fabrics in the photo, it just wasn't working for me. So, I set them aside for awhile to work on something else, and decided to go a completely different route. I chose these fabrics instead. Same color palette, but I knew when I laid them out that it was right for me. I've really learned to trust my gut instincts (on many, many things! ), and am pretty happy with this combo. Quilt will be under construction this week, so stay tuned. Last week, I had the pleasure of returning to the quilt guild of Lodi, Wisconsin. All I can say is ....lucky me!....as this is a fun and talented group of ladies!! Thanks, ladies! I had a wonderful time!! I taught my "Mock Needle-turn Applique by Machine" class, and used my brand new Spinning Wheel pattern (coming soon). You can see the reel block on the tables. I loved seeing all the different fabrics everyone chose for their quilt. I'm very lucky and blessed to spend my day working with quilters! I'd love to visit your quilt guild! I'm presently booking lectures and workshops in 2015. Click here to see all my lecture and workshop offerings. Stay tuned as I have lots to share with you this week! I'm the only member of my family who has yet to experience the abundant treasures at our nation's capitol. I'm aiming to fix that this fall and am planning a trip to DC. Among the many historical offerings there are to see, I'd like to visit the quilt exhibits at the Smithsonian (among the bazillion other things in the museums!). I'm a bit overwhelmed at the vastness of their website, so I thought I'd ask you, Dear Reader, if you have any advice for me. I know that sometimes, the Smithsonian has special tours that allow you to see more than the quilts currently on exhibit, and I'll be looking for that info. 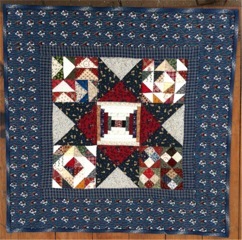 Do you have any advice about the quilt exhibits and collections at the Smithsonian? Any advice on visiting the Capitol and White House? I have about 4-5 months to plan ahead. Any help you can give me is most appreciated. Thanks a bunch! 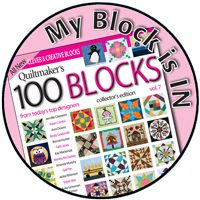 It's Time for a New Quiltmakers 100 Blocks Magazine! 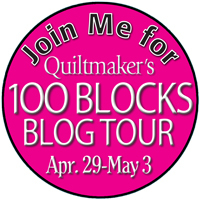 I'm delighted to say that I have a new, original block in the next issue of Quiltmaker magazine! It's always such a kick to be included, not only in the magazine, but the blog hop festivities as well. Mark you calendars for the blog hop beginning April 29th. Click here to read all about the blog hop and to get links every day for all of the participating blog designers. Don't forget there are tons of prizes and give-aways from all of the designers! I'll reveal my block on May 2nd. Can't wait to show you! 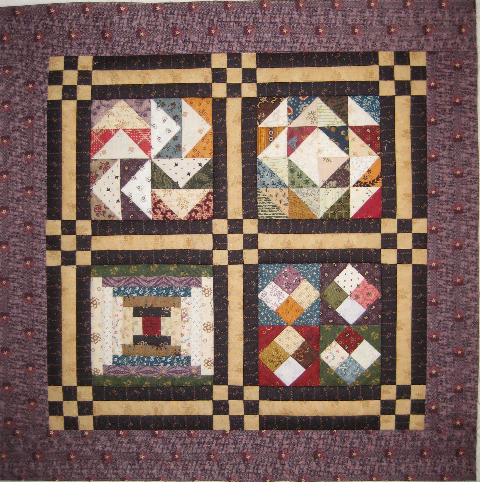 Lucy's Prairie Pocket Class Coming Soon! I'll be teaching my Lucy's Prairie Pockets class on Saturday, April 27th, at my favorite local quilt shop, The Quilt Merchant, in Winfield, IL! Space is limited, and we'd love to have you join the fun! Call the shop at 630-480-3000 to sign up! 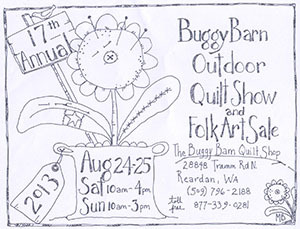 Join the Fun At Buggy Barn Quilt Show in August! It is my pleasure to announce that I will be teaching two classes this August at The Buggy Barn's annual Quilt Show and Folk Art Sale! I was very honored to be chosen to teach at this legendary event!! 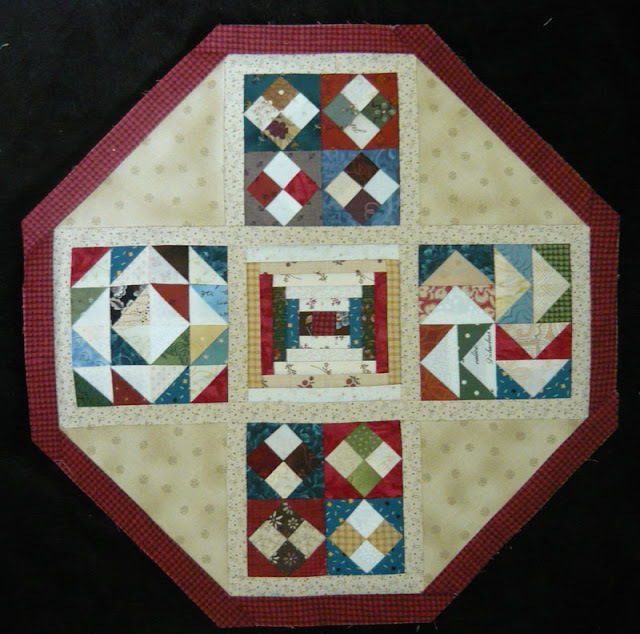 Click here to read all about the classes, quilt show and folk art sale. Practice What I Preach, where you'll learn tons of hints, tips and tricks on the most commonly used quilt units and blocks for a darling quilt. Contact Pam & Janet at Buggy Barn to add your name to the list. Classes fill very quickly, I'm told, so don't delay. It just wouldn't be the same without you! It's been months in the making...planning, trial, error, searching, wracking our brains, and with a lot of help from some very creative and talented ladies, I invite you to take a tour of my blog and its new look! I wanted the look of my blog to really reflect me...after all...it's my personal "web-log", right? Meet Ada Blaney. She's the Prairie Woman in the photo above. She lived in Nebraska in the early to mid 1800's, and for me, is the epitome of a prairie woman. So proud of her treadle machine, she chose to be photographed near her sod house on the open prairie. The quilt pictured next to her is my Sweet Rosie quilt, one of my favorites, and apparently yours, too, as it continues to be a best seller. I had to include a sampler, because they were so much a part of life back then, and they are my second passion in life. The stork scissors and old button cards are images of life back then as well, and I love to collect vintage sewing needfuls. 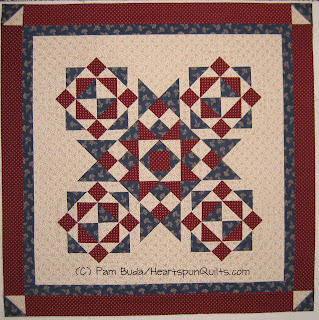 For those of us who love to create Civil War reproduction quilts, the "pieces the past" twill tape was very fitting, and then, of course...there's lots of RED....which you already know is my favorite color! 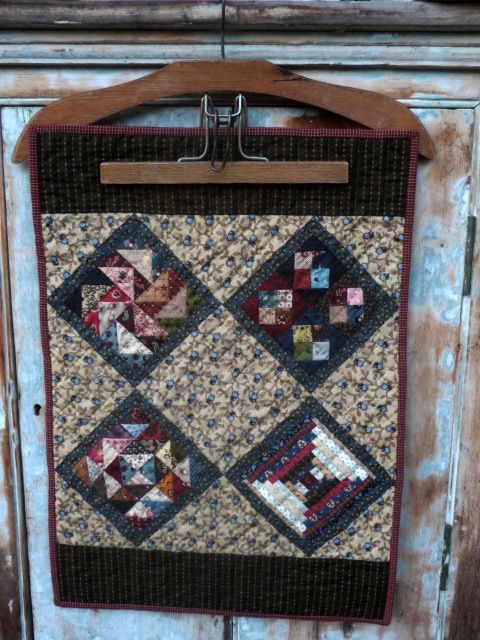 I stitched the red border twill tape, which was fun, and the bird sitting perched on top of the black darner is one of my favorite pieced of folk art. All in all, it was a collaborative effort, and I owe a big Thank You to Brittany, Collin, Heather and Karen for all their hard work! New to the blog is the navigation bar right under Ada's picture. There, you'll find some new things, so I invite you to browse awhile...but....please do click on the Freebie Patterns tab where you'll find the pattern for this little cutie, called Sweetest Things. 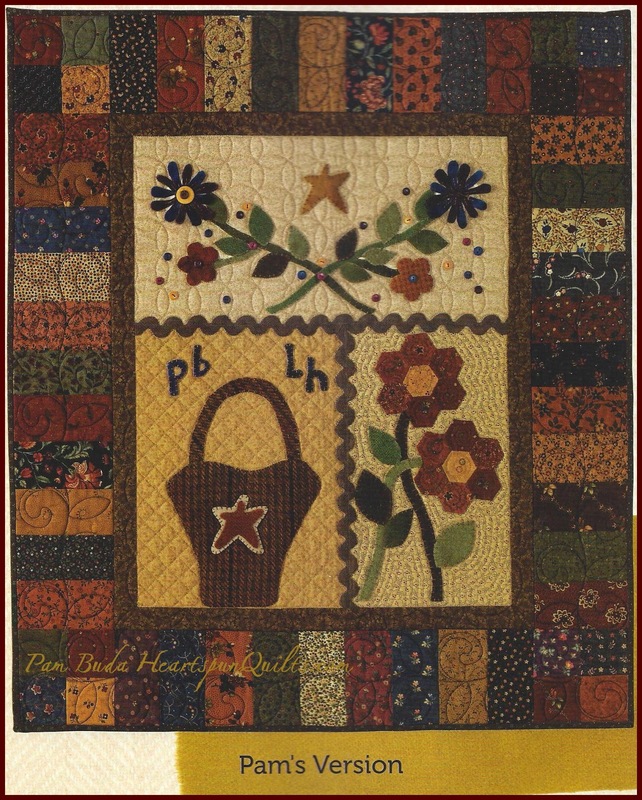 I had to make sure to include my tag line from the Prairie Women's Sewing Circle club.....journey the threads of time TM in the blog banner because I live so much of my life researching and thinking about life in the 1800's, and so, I invite you to continue that journey with me through this blog and the PWSC club. Without you, Dear Reader, I'd just be rambling on into cyberspace! I thoroughly enjoyed the airing of the Orphans & Scraps quilts, and I hope you did too. I am inspired by the talent and creativity shown by each of you. 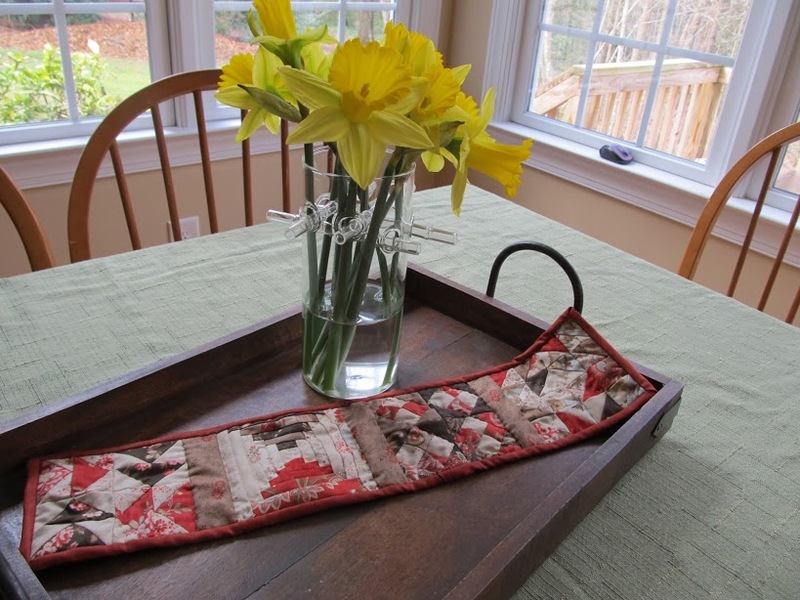 Loved seeing where your quilts will be living in your home, too! Thanks so much for sharing your talents with all of us!! The design is all complete and I'm anxious to get started!! I sure hope you don't mind making a lot of Half Square Triangles because the blocks are full of them. The block size is 6 inches finished...hopefully you like that more than the 4 inchers we just worked with. 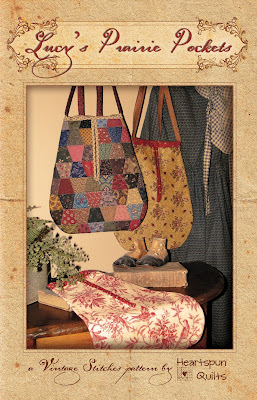 The sew~along will begin in June and I will be offering kits.....with fabric from my Pin Money and Prairie Wovens collections! Stay tuned for more information as soon as it becomes available. If you're interested in getting the free sew~along patterns, I highly recommend signing up to receive my blog posts via email. That way you can easily print the sew~along instructions and take them to your sewing machine. It's easy! Enter your email address in the "Follow by Email" icon found on the right hand side bar of my blog, That's it! P.S. My blog make-over is coming soon...I can hardly wait! 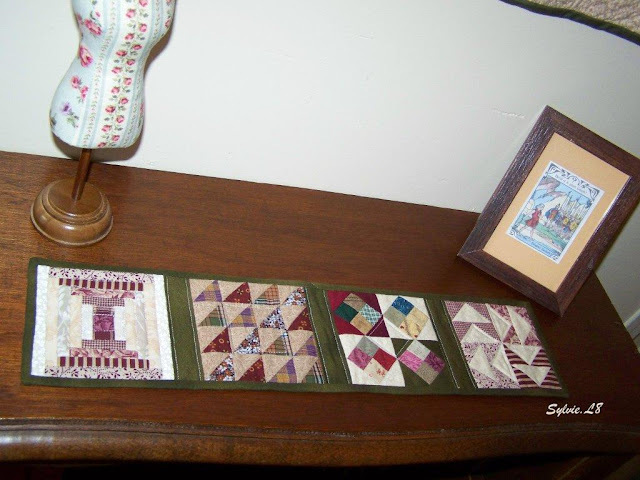 I hope you have been enjoying the quilts thus far. I just love all the different renditions, clever layouts and creativity! Guess what? Last week, with my "last call" request, I had a rush of more photos arrive in my inbox, so I will have one more post of wonderful quilts to share with you! Yay! 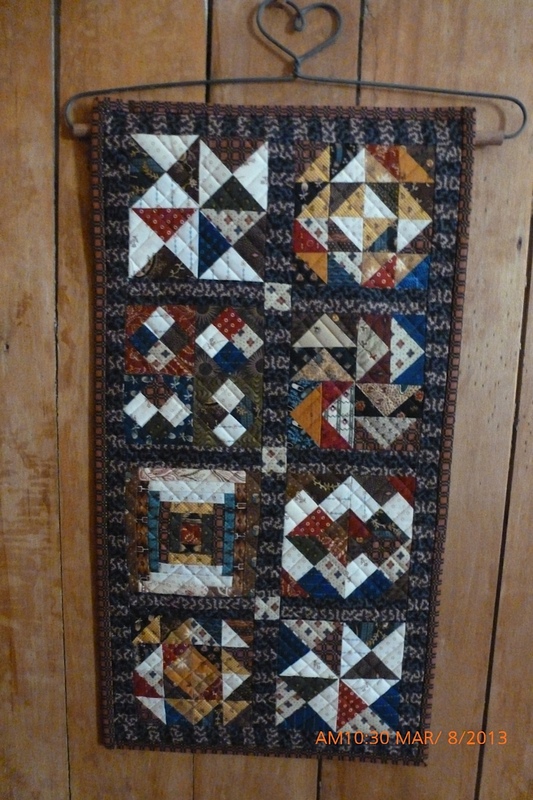 More quilts will be on the clothesline in my next post! Enjoy your day and thanks for stopping by!